Sure, you can plan. But that doesn’t always mean it will come out the way you anticipated. This is largely due to the nature of life. Things are in a constant state of change. There’s no such thing as a sure bet. We can only hope for the best. So there it is. You can dot ALL your i’s, and cross ALL your dang T’s. But when it comes down to it…. the i and the t don’t always spell… IT. Today, we made big plans for a family night. Mary fixed a big pot of Cheddar Chowder, and I made enough salad for the King’s Rabbits. Crusty Bread… and we were set. After dinner, we were going to decorate Christmas Cookies. Not just any cookies, but Homemade Sugar Cookies, which Mary baked earlier in the day .. … while I did the grocery gathering for the meal. We were a well-oiled team. But as it turns out…. everyone backed out on us. 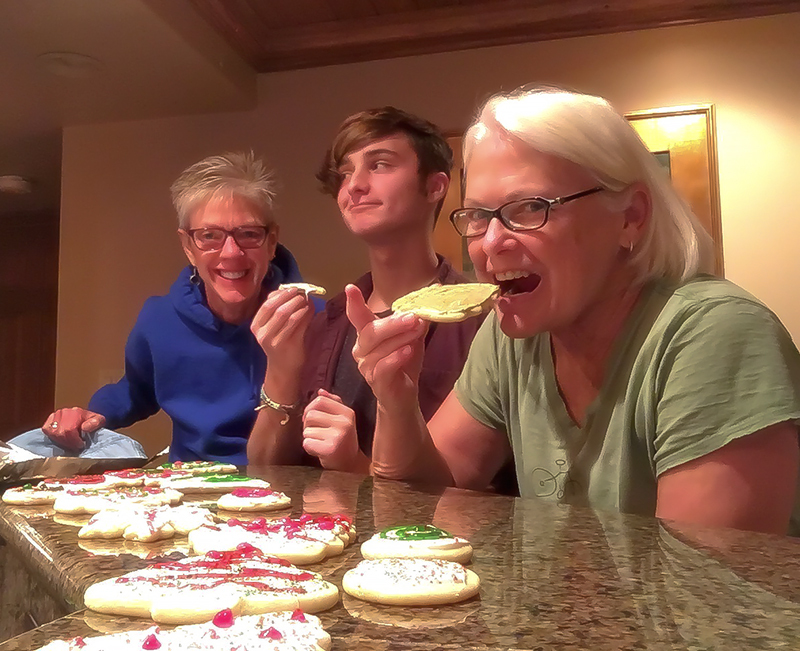 Everyone but our MOST favorite oldest grandson Levi…. and our most favorite oldest son Jesse. Unfortunately, Jesse is a lineman for Butler Rural Electric, and he had to leave on a work call. Fried Squirrel. So Levi was the guy. The night hadn’t fallen together as we had planned. As it turned out, I can’t imagine anything I would have enjoyed more. We had a great time. 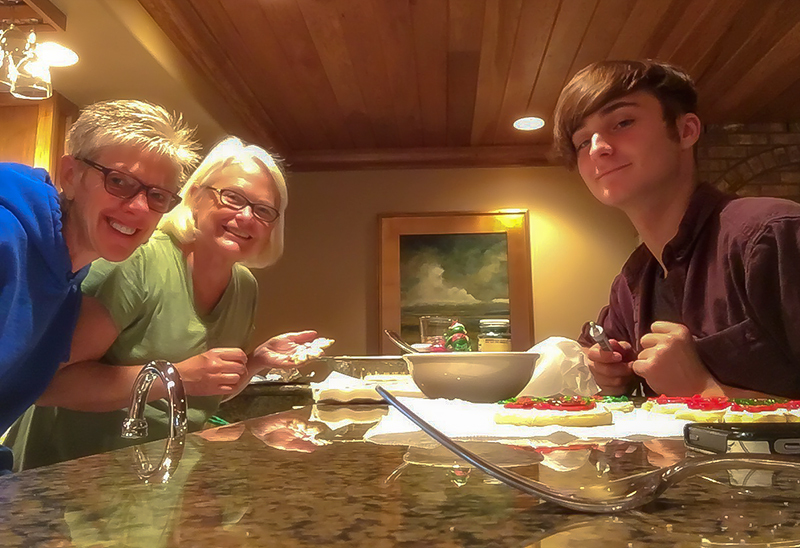 The three of us ate that delicious Cheddar Chowder, Salad, and Crusty Bread. 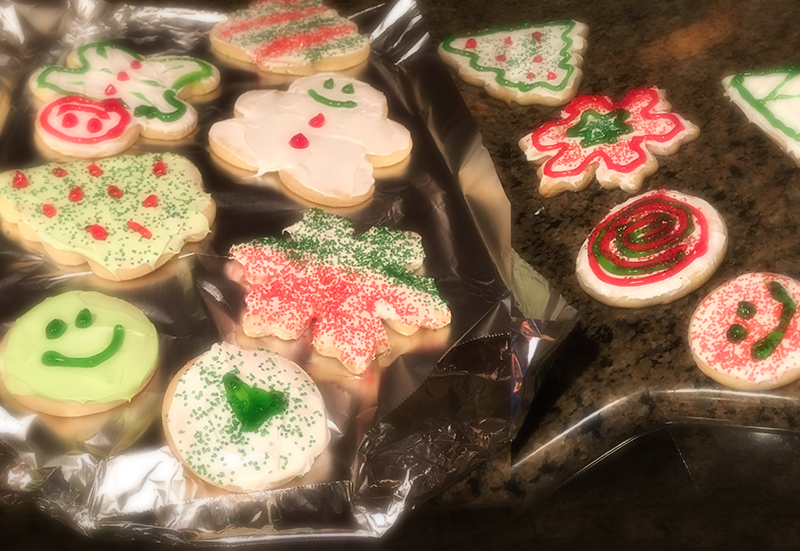 And then we decorated the most beautiful Christmas Cookies. We would have made Betty Crocker proud. Okay… maybe not Betty Crocker. But… maybe that lady on the box of those Easy Bake Ovens. At any rate… those cookies were pretty snappy. I know. Beauty is in the eye of the beholder. And I guess that is my point. Things didn’t come together as we had intended. But they turned out in the most spectacular way. Again, I can’t think of anywhere on earth that I would rather have been. And I know all of this is true…. because I am looking through my own eyes. And with my own heart. Isn’t it sweet, when it turns out to be the best. For even though the world keeps changing by the minute… for that one moment… I would not have changed a thing.